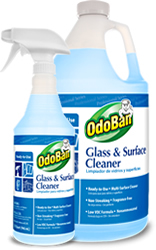 Uses advanced solvent chemistry to penetrate and remove smudges, fingerprints, smoke film, grease and grime. Leaves surfaces shining and streak-free. A concentrated no rinse floor cleaner formulated with a naturally derived surfactant system designed to remove dirt and soils from all hard flooring surfaces, leaving surfaces shining and streak-free. 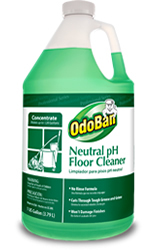 Neutral pH cleaner won’t harm finishes. Ideal for bathrooms and kitchens. Cleans the toughest dirt and grime without scratching. 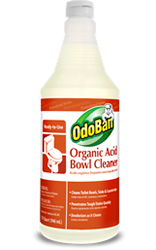 Removes mold, mildew, rust, mineral deposits and food stains. Deodorizes as it cleans. 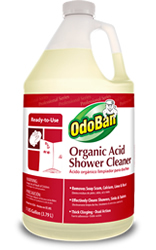 An organic acid bathroom cleaner that combines thickening and cleaning agents for vertical surface cling for removal of tough hard water stains and soap scum on bathroom surfaces - safely and effectively without mineral acids, caustics or harsh abrasive chemicals.